We are leading manufacturer and supplier Acrylic Crockery. 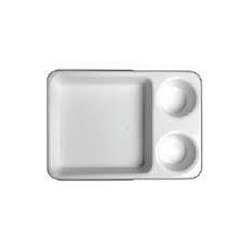 Being a flagship organization in this domain, we are engaged in offering a superior quality Portion Trays. Our offered products are thoroughly manufactured at vendors end by a team of experienced professionals that possess wide knowledge and expertise. In order to meet the diversified requirements of our clients, the offered products can be obtained in numerous sizes, colors, designs and shapes. In addition to this, our quality assured products are widely acknowledged by our esteemed clients spread across the country. We feel proud to introduce ourselves as the well-known manufacturer and supplier of Acrylic Portion Tray. 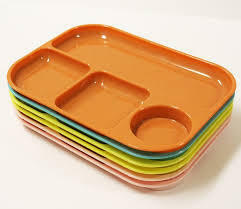 The offered Acrylic Portion Tray is a unique fabrication for serving multiple food items in a single tray. Our supplied Acrylic Portion Tray is very commonly used in homes, offices and restaurants. The offered Acrylic Portion Tray is easily available at very affordable and cost effective market rates. We are one of the well-known manufacturers and suppliers of Acrylic Cinema Tray with Two Glass. The offered Acrylic Cinema Tray with Two Glass is specially designed for cinema halls and movie theaters. Our supplied Acrylic Cinema Tray with Two Glass is highly liked and appreciated by the clients, due to the hard wearing fabrication and durability.